davidariust24, lukin2006, northerncowboynation and 5 others like this. 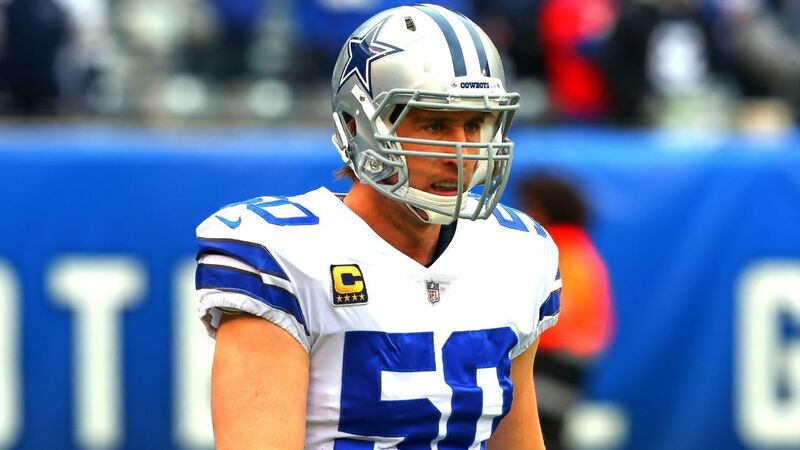 Sean Lee should not want to be a NFL starter anymore. The smart move would be a backup in Dallas and better his chances of staying healthy with less playing time. silvrNblue, Silly, cowboyfan4lyfe and 3 others like this. Crown Royal, cowboyfan4lyfe, Runwildboys and 1 other person like this. Pay cut and move him to SAM. I can't solve all the Cowboys problems for them, geez. Rockdoc, JayFord and Zekeats like this. Why not just make him the strong side LB and he'll get 15-25 snaps a game? At a reduced rate of course. cheyennes, Kaiser, AmariChill and 2 others like this. Better than him accomplishing that with the other PA team. Runwildboys and Zekeats like this. Sure. Find a way to cut that $10MM cap hit by 50% or more and we can keep him around. Silly and J12B like this. if we keep him, does he become a progress stopper for another young lb? he plays like someone who's worried about being injured again. it was hard to watch his last couple of efforts after seeing him be such a star for so long. time for sean to go. Looks like Bell and Brown both are leaving. Cleveland has 84 mill in cap space and a very talented defense. Sean Lee can still do more by instinct than most young linebackers trying to read and react. He is still a leader on the field and off as well. A needed element on this youthful team. Rockdoc, northerncowboynation, Pompey-Cowboy and 2 others like this. Sean isn't playing anywhere else. He will do the honorable thing and take a step back, both in role and pay. Rockdoc and northerncowboynation like this. Hopefully he'll take a pay cut and a backup role. I can see him being valuable in the playoffs, that's when the old guys usually step it up. beware_d-ware, northerncowboynation and stasheroo like this. Sean Lee is 6'2" and 245. Last year's staring SAM was Damien Wilson is 6'0" 245. Fragile? We all know that. But anything Damien Wilson can do, Sean Lee can do better. Rockdoc, silvrNblue, cheyennes and 1 other person like this. That part is definitely true. But you're keeping him as a 2-down SAM and insurance if Jaylon or LVE got hurt. He's a starter and valuable reserve in that scenario. Rockdoc and Runwildboys like this. Tyron needed to get the back worked on. He will likely get the Romo treatment for the rest of his career. Extra day of rest and treatment.